Figure 6-73.--Position of the diamond dresser. backing the knurling tool away from the work. tool is in contact with it if the feed is disengaged. finish. 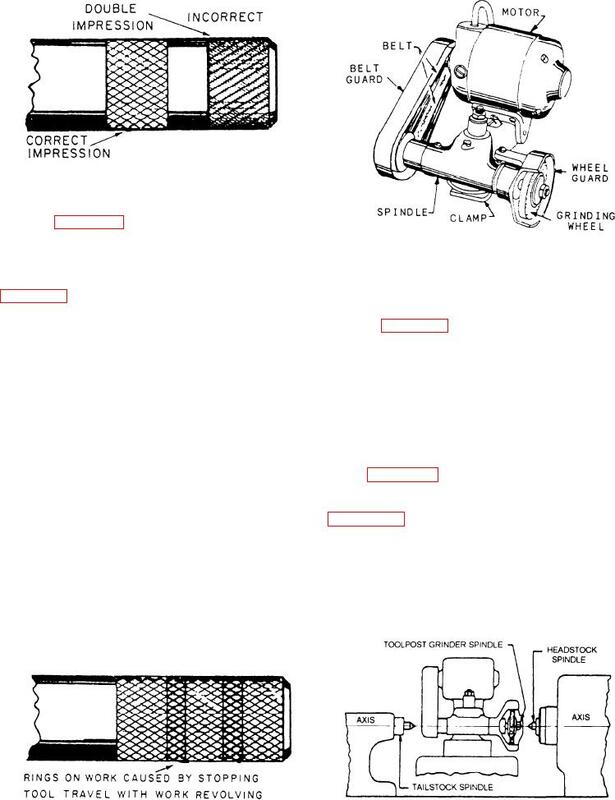 Figure 6-71 shows a typical toolpost grinder. the opposite end of the knurled surface is reached. Never allow the knurls to feed off the surface. perform most of the same operations as a cutting tool. brush and remove any burrs or sharp edges with a file. Figure 6-72.--Mounting the grinder at center height. Figure 6-70.--Rings on a knurled surface.